MACS SCISSORS STYLE CUTICLE NIPPER;-Give your manicure like a professional! 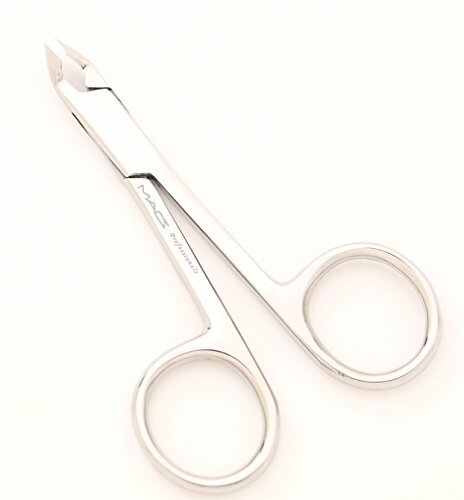 Macs Cuticle Nippers Scissors Style is perfect for your Cuticles . Very sharp blade to cut the dead skin around Your Nails cuticles without tugging or tearing (Please Do not cut live cuticle). Comfortable Feeling Scissors Style precise nipping. Made from 410 Japanese Stainless Steel with a Rockwell hardness of 48-50 degrees. Rust-proof and are easy to clean! Your purchase Both sides are very easy to use. We are very confident in our product and offer a no-hassle guarantee. If you are unhappy with your purchase for any reason, we will refund your money or replace the product - no questions asked. Add this set to your cart and buy your Sterling Beauty Tools Cuticle Nippers today!